It uses 3phase power connection to generate one "superphase" and charge Type1 cars (Leaf). 2 phases are loaded equally. It also has a special mode for battery safe Leaf charging - read below. If you have Type1 EV Car (like US Tesla, Nissan Leaf, Mitsubishi Outlander PHEV etc) and 3-phase power in your garage, parking, home - this charger will accelerate your charging speed more than twice! ...and still can be used as normal 230V 10A charger. Me & my Wife own two EV cars (Outlander PHEV and Nissan Leaf) and I’m electric car tuner (http://evtun.com). Main problem I have noticed while charging our EV cars at home is that we have 3-phase connection at home, but limited to 14,5A per phase (this is very common in Europe in small houses). If you want to charge your EV car quicker, fuses will go off. 10A charger is a real maximum. I decided to solve this in one step – intelligent 2-phase to „superphase” converter, that loads two phases equally. Also it monitors current and if you switch on something loading one of phases used, it will immediately reduce speed of charging of car to avoid fuses to react. - My charger uses clever conversion from 230V phases to 240V „superphase” - this helps with another 5% acceleration because EV cars limit current and accept any voltage up to 260V. - Beside of that, that my charger monitors phases load and reduces speed automatically if needed, you can also set basic speed as 8A (night charging), 16A (standard), 20A (fast). 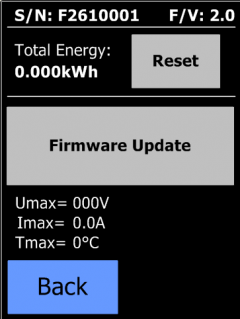 - Z-wave is added, you can integrate charger with your home network. 1. Outlander PHEV – it blocks prebalancing (factory charger slows down to almost 1A, for 25 minutes if battery was empty) so Outlander charges full 3.6 kW every hour, including first hour (without that trick – 2.2 kW only within first hour). Superphase + blocking of prebalancing double the speed of factory 10A charger. 2. Nissan Leaf – charger charges it to 90% SOC, then stops, or 90% SOC, stops for 15 min to cool battery down and then – finishes charging (effectively this is faster and more safe for battery). - I want to add bluetooth and RFID access (with cards or RFID tokens) and application to control more sophisticated parameters of charging / cooling battery. Last edited by Piro on Sat Jul 29, 2017 1:10 am, edited 2 times in total. Re: 2x faster home charger for Leaf without 32A power lines. Interesting, and you may already know this, but basically no residential homes in N. America has 3 phase power, although most can easily accommodate a 30a 240v outlet, giving us ~6.6kwh charging. Do your Leafs not charge up to 27.5a @ 240v like the N. American ones, or is it just your homes that don't generally have such high powered outlets/lines? jjeff wrote: Interesting, and you may already know this, but basically no residential homes in N. America has 3 phase power, although most can easily accommodate a 30a 240v outlet, giving us ~6.6kwh charging. Do your Leafs not charge up to 27.5a @ 240v like the N. American ones, or is it just your homes that don't generally have such high powered outlets/lines? Yes, I know US power schema for houses and I think this solution is good for EU and other areas, where residential power for houses bases on 3 phase 14,5A or similar (3x16A fusing). EU onboard chargers are limited to 15A each, 230V, US chargers are limited to 15A (first) and 12.5A (second, if exists), so there are small differences. Spammer trying to get a foot in the door here. I read about another device which rectified the 3-phase power, then inverted it to 240v single-phase, to charge a Tesla (sorry, can't find the link). The maker spent 4,000 EU on it. We have finished new version of Accelev - v2.